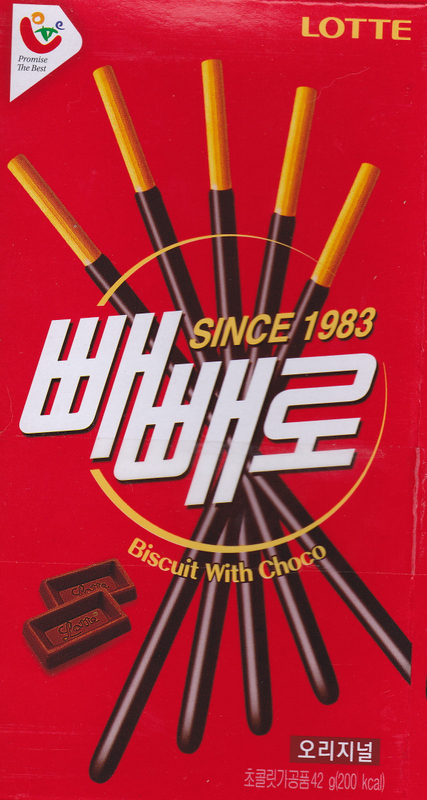 Today (11/11) is Pepero Day in Korea! 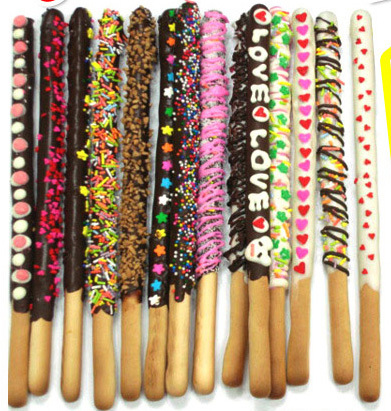 Pepero is a long, thin, chocolate covered stick biscuit snack which is very popular in Korea. Every year on 11/11 people celebrate Pepero Day by giving Pepero to friends and family. 11/11 was chosen as Pepero Day as the date looks like 4 pepero sticks. 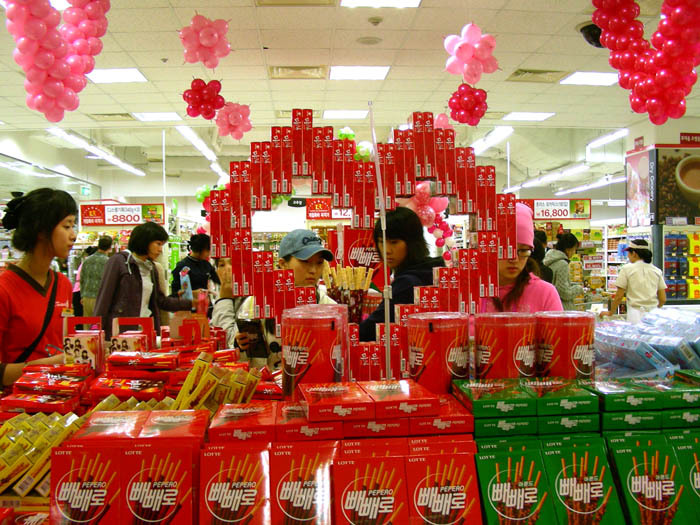 Since last weeks supermarkets and convenience stores have been flooded with pepero and it is no exaggeration that this day has become a national holiday close to Valentines Day (girls give boys chocolate) and White Day (boys give girls candy). 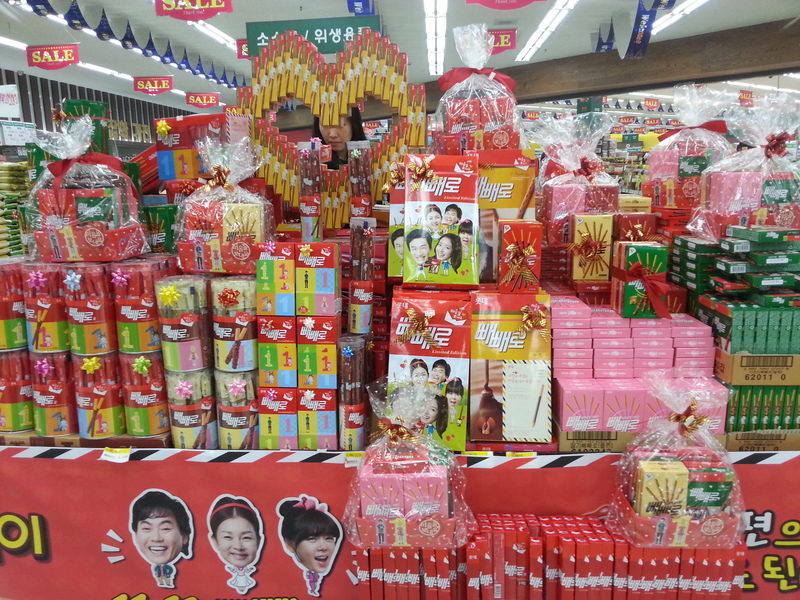 It is also common to see boxes of pepero stuck together to make a pepero sculpture being sold. 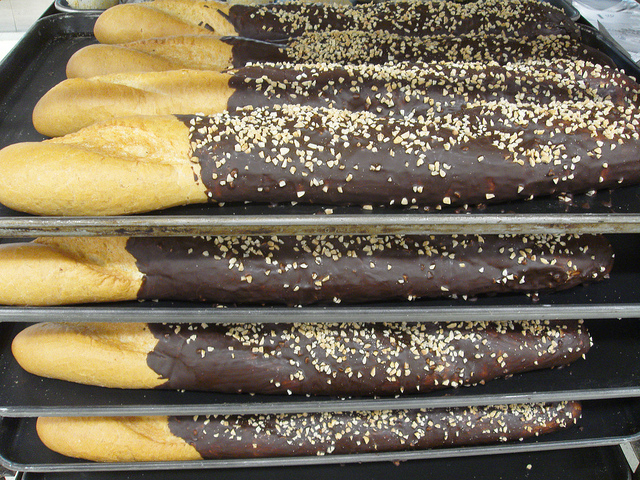 Pepero Day has become so popular that many outlets are participating on this day and the celebration has grown outside of the actual pepero to giving sweets in general or anything resembling pepero including major bakeries selling pepero inspired baguettes. A big trend lately seems to be “make your own pepero” with plain bisuict sticks, decorating chocolate, candy decorations and fancy wrapping materials being sold. Will you be giving or receiving pepero this year?